What is the FA-50 really for? 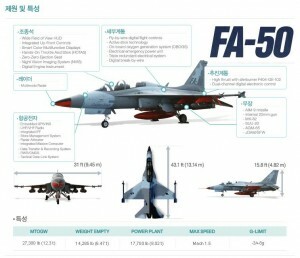 The Korean Aerospace Industries FA-50PH is the single most sophisticated aircraft in the Philippine Air Force inventory. The arrival of the first two aircraft on November 28, 2015 heralded the formal start of the service's efforts to rebuild it's air defense operations capability. These two "Fighting Eagles", as South Korea calls them, were the first of what will ultimately be 12 aircraft. According to multiple PAF sources, two more aircraft are due in the final quarter of 2016, while the remainder will be delivered in 2017 at a rate of one a month. -> First brand-new fixed-wing combat aircraft acquired since the F-5A Freedom Fighters that were acquired in the early 60s. 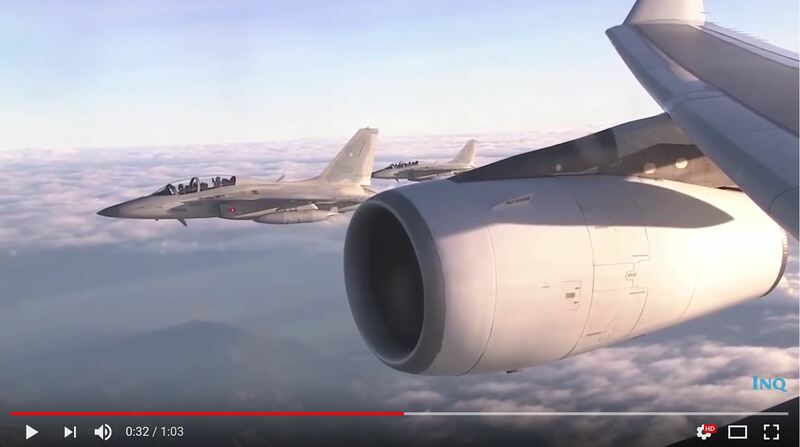 On February 19, 2016, these two aircraft conducted an air interception exercise involving a Philippine Air Lines Airbus carrying President Aquino who was returning from a US-ASEAN summit in the United States. This was reportedly the first intercept exercise of its type attempted by the Philippine Air Force since 1998 using its now retired F-5As. This exercise not only benefited the pilots of the aircraft, but also practiced coordination between air traffic controllers of the Civil Aviation Administration of the Philippines (CAAP) and the PAF's Air Defense Wing. CAAP and PAF controllers were responsible for tracking the President's aircraft and guiding the FA-50s to a point where they could use their own radars to find the airliner. During the PAF's heyday, in the US-bases funded 60s, such intercepts were part of normal operations for enforcing the Philippine Air Defense Identification Zone (PADIZ). 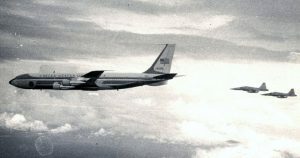 During this period PAF fighters would intercept all manner of aircraft, from Soviet bombers transiting the South China Sea enroute to Cam Ranh Bay in Vietnam, to Air Force One on a visit to the Philippines as shown below. <iframe src="https://www.youtube.com/embed/CBO3ZBNMsRQ" width="420" height="315" frameborder="0" allowfullscreen="allowfullscreen"></iframe> DUTERTE: "You only have . . . what . . . two F-50s? Bakit mo binili yan? Kayong mga taga Air Force, do not misconstrue my . . . I am a Filipino, I'm a citizen of this country and I have every right to say what I want to say. Sayang ang pera doon. You cannot use it for anti-insurgency which is really the problem of the moment. You can only use it for ceremonial fly-bys. What do I care about &lt;fade out&gt;. Kung binili mo ng choppers na may night vision, you when the kidnapping . . . you could have a catch up those guys. There's only one purpose for buying it. To match the airpower . . . at least 1-on-1 sa China. Pero, beyond that Scarborough Shoal, anak ng hueteng there are 300 Migs there. They can reach Manila in 6 minutes"
The short response to this would be: "No it is not". A detailed answer will require an understanding of what the FA-50 can and cannot do, and a high-level review of the AFP modernization program as a whole. 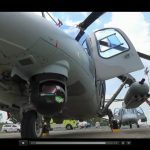 To draw attention to the misconceptions surrounding this aircraft, both among its critics and even some of its well-meaning supporters, this article will begin with what the aircraft can't do. 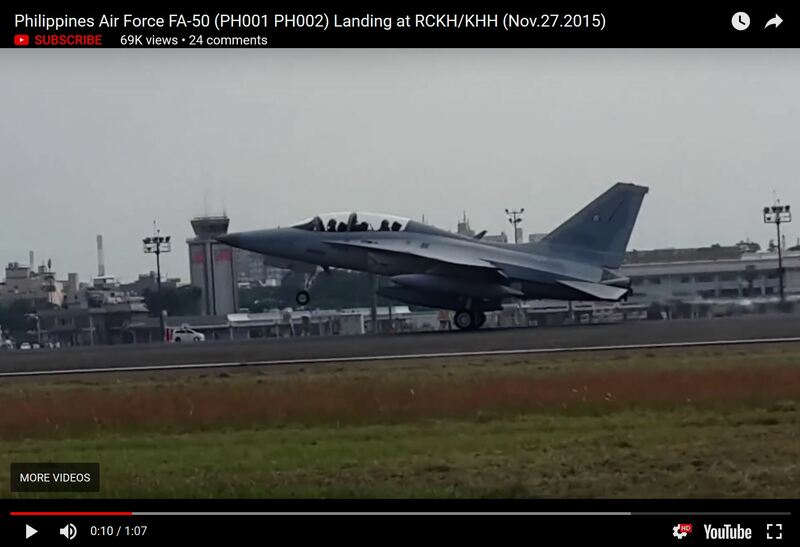 Had the Philippine Air Force sought an effective counter to Chinese fighters, the FA-50 would have been a poor choice. In South Korean Air Force service, the Fighting Eagle is a replacement for aging F-5E and F-4 fighters. Both are second-string combat aircraft relegated to supporting roles for Korea's principal fighters, namely the F-15K air superiority fighter and the relatively smaller -- but still formidable -- F-16K multi-role fighter. The FA-50s range is limited. 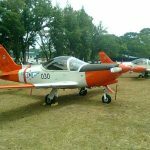 Airforce-technology.com cites a range of 1,851 km for the pure trainer version of this aircraft: the T-50 . While the Fighting Eagle's actual range is classified, the fact that it's external dimensions are virtually identical to the T-50, it stands to reason that it's range would be no better, and could only be worse given the range-sapping external weapons pylons and the weight of additional equipment of the FA-50. In contrast, the smaller of the multi-role fighters cited above -- the F-16 -- has range of 3,221 km. To put these figures into a counter-China context, Pag-asa island is approximately 852.77 kilometers from Metro Manila -- a one-way flight that's already almost half the aircraft's range . This leaves the FA-50 little time to remain on station over Pag-asa before it needs to return to an airfield to refuel. It also has no in-flight refueling capability, therefore to reach, and loiter, over Philippine garrisons in the West Philippine Sea, it would need to sacrifice its precious few under-wing pylons to carrying fuel tanks, much as it did during its ferry flight from South Korea to the Philippines. Fuel tanks in lieu of weapons. All these facts inevitably lead to the question: If the aircraft is at such a significant disadvantage when facing Chinese fighters, why did the PAF bother to buy the FA-50 in the first place? Or in Duterte's words "Bakit mo binili yan?" The PAF's long-term modernization program actually calls for the acquisition of Multi-Role Fighters (MRF) that can establish air superiority within the Philippine Air Defense Identification Zone (PADIZ), as well as provide air support for AFP forces on the ground or on water. These would be the "true fighters" that would challenge Chinese Sukhois (not Migs) in the event of escalation of hostilities and not the FA-50. Strategic Air Strike Force through a combination of manned and unmanned assets in order to gain and maintain air superiority over friendly and contested territories. The force should be capable of neutralizing a threat’s military potential that may be used against our forces; and, of supporting our surface forces through air-delivered weapons. The force should have <strong>multi-role fighter aircrafts</strong> and unmanned combat air vehicles (UCAV)23 capable of air interdiction, air combat maneuvering, air-to-ground and air-to-ship missions. Inherent to the assigned missions is the training and proficiency of the fighter pilots and operators. Continuous training and participation in joint and/or combined air, land, and sea exercises shall be undertaken towards developing a proficient Strategic Air Strike Force. MRFs will employ technologies that are generations ahead of whatever currently exists within the PAF. Fly-by-wire, for example, is the gold standard for modern fighter aircraft. This a system of multiple flight-computers that translate what a pilot wants to do, into actual control surface configurations. A pilot's flight controls are no longer directly connected to the tail, ailerons, and elevators of the aircraft, they simply send requests to the fly-by-wire computers. While relatively common in the civilian airline industry, the PAF has virtual no experience operating -- and more importantly maintaining -- this technology. Other avionics components present in modern MRFs, from multi-mode radars to advanced low-bypass turbofans, present similar learning curves for airplane handlers -- both on the ground and in the air. MRFs will require a level of logistical support to which the service is unaccustomed. The quantum leap in capability of MRFs comes at a price, not only in pesos, but also in logistical complexity. 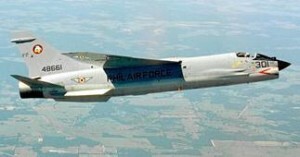 The <a href="http://adroth.ph/the-pafs-piecemeal-acquisitions/">piecemeal acquisition</a> of replacement components and cannibalization of existing aircraft for parts -- that have become the norm for the PAF -- will have a much more detrimental effect on these sophisticated aircraft than on its existing fleet of Vietnam-era aircraft. This will will require paradigm shifts within the organization, no only for aircraft maintainers, but even the budgetary planners responsible for forecasting logistical requirements. This search for a bridging platform gave rise to the acquisition project formally called the "Surface Attack Aircraft / Lead-In Fighter Trainer" project. This is an amalgamation of two previously separate projects: an effort to acquire ground attack aircraft which dates back to the original 1995 modernization program, and the relatively new LIFT project. To put the role of the FA-50 into perspective, LIFT will be discussed first. A notable difference with the PAF's LIFT, compared to similar aircraft in other nations, is that it is combat-capable. 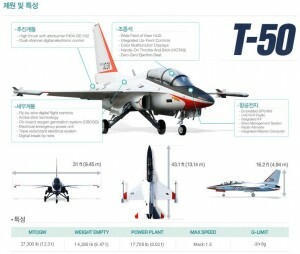 South Korea, for example, uses the unarmed T-50 for its LIFT purposes, while using their FA-50s for the above-mentioned low-end attack role. To understand why the PAF went this route, one must understand the service's experience with its trainers. Training aircraft in the PAF have, historically, found themselves pressed into combat service either to make up for force-deficiencies, or as a stop-gap for a complete lack of suitable combat aircraft. When the T-28 Trojan close air support aircraft were withdrawn from service in the wake of the 1989 coup, select SF-260 trainers were converted into combat configuration. The retirement of the F-5A fighters in 2005 gave rise to Project Falcon, which produced the air superiority-grey colored AS211 which served as the PAF principal "fighter substitute" for almost a decade. In a move that seemingly accepted the inevitability of history repeating itself, the PAF Project Management Team merged its LIFT requirement with its long-standing Surface Attack Aircraft project. So instead of acquiring a pure LIFT aircraft which would have been limited to flight instruction, the project acquired the FA-50PH: an aircraft suitably equipped to prepare the organization for the arrival of more capable multi-role fighters, with a secondary function of providing ground attack functionality. Like the S211 that came before it, it will also serve as an interim fighter -- simply because the PAF doesn't have anything else that even remotely approximates its capabilities. Re: What is the FA-50 really for? Unlike it's air-to-air weaponry, the FA-50 is already cleared to use a variety of ground attack weapons. All of which could be brought to bear in internal counter-insurgency campaigns, particularly against groups with a predilection for constructing defensive fortifications. 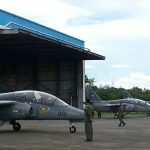 The most recent instance of military action requiring fixed-wing strike was in Lanao in August 2008 where AS-211s were used. While superior bomb-carrying capacity is, by itself, a significant improvement. What sets the FA-50 apart is the increased bombing accuracy because of its avionics. Existing AS211 and OV-10 are largely dependent on the pilot's aim, and restricted to specific bombing profiles that require flying over the target, at relatively low heights, for manual weapons release. The FA-50s, on the other hand, is not limited to such profiles. The radar enhances a fighter jet's air-to-air, air-to-ground, and air-to-sea capabilities, enabling long-range target detection and high-resolution mapping, among other features. This translates to highly accurate "dumb bomb" delivery either via Constantly Computed Impact Point (CCIP) or Continuously Computed Release Point (CCRP) bombing modes. 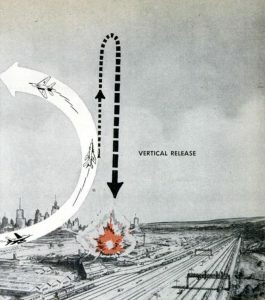 While these two bombing techniques have been in existence for decades, it wasn't until the FA-50 that the PAF could begin training in them. CCRP would allow the FA-50 to drop its dumb bombs from very high altitude -- above cloud cover -- and still have reasonable accuracy. The exact Circular Error of Probability (CEP) for bombs dropped in this manner is secret, but will undeniably be less than that of Precision Guided Munitions (PGM) which public sources have cited at 20ft. However, CCIP and CCRP are still used in conjunction with PGMs for situations where guidance for the PGM becomes unavailable after weapons release (e.g., weather interfering with guidance laser, etc.). PGMs are, in fact, best used in conjunction with either CCIP or CCRP. Purely for perspective, the following are two bombing maneuvers made possible by CCRP. 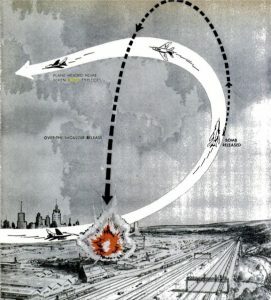 These images were taken from an October 1957 article in <a href="https://books.google.com/books?id=x-EDAAAAMBAJ&amp;pg=PA106&amp;lpg=PA106&amp;dq=over+the+shoulder+delivery,+bomb,+usaf&amp;source=bl&amp;ots=2FixEctWt9&amp;sig=rDciimrMQ7SyFdPyVydOVqaV5aY&amp;hl=en&amp;sa=X&amp;ved=0ahUKEwjMzvbWmvzNAhUDzWMKHZUuCp4Q6AEIQTAI#v=onepage&amp;q=over%20the%20shoulder%20delivery%2C%20bomb%2C%20usaf&amp;f=false">Popular Mechanics</a> about computer-assisted bombing in the USAF, purely based on Inertial Navigation Systems, and without the benefit of embedded GPS systems. Note that these samples are purely to enhance appreciation for the flexibility of the technology. It is not a declaration that these are, or will be, part of the PAF's own Tactics, Techniques, and Procedures (TTP). Furthermore, as per PAF sources, the availability of embedded training systems on the aircraft -- which were integral to its training function -- permit the simulation of weapons delivery without actually expending ammunition. 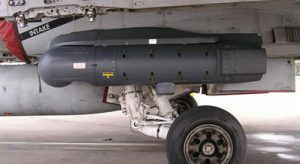 Even without either CCIP or CCRP, the FA-50's superior ordnance carrying capacity translates to more Paveway II Laser Guided Bombs (LGB) that can be brought to be bear on a target for precision targeting of multiple High Value Targets (HVT) with minimal collateral damage. This relatively new addition to the PAF arsenal provides a valuable capability in counter-insurgency, and one that was actually demonstrated in March 2012 reportedly c/o of an OV-10 carrying at least one such weapon. 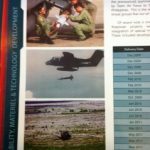 Although photographs of the event have never been release, a PAF modernization document with a photograph of a PAF OV-10 in the process of dropping a Paveway II was circulated in defense social media. The AFP has already had five years of the COIN-centric first phase of the Capability Upgrade Program which initially replaced the 1995 AFP Modernization Program. It's insurgency-focused capabilities are at an all-time high, as are it's night fighting capabilities. 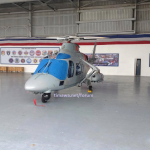 Given that the speech was delivered before the President formally assumed office, and before his formal briefing about the AFP's capabilities, it is not inconceivable that he was not aware that the Philippine Air Force actually already has eight ( all-weather AgustaWestland AW-109 attack helicopters with the ability to detect ground targets day or night. 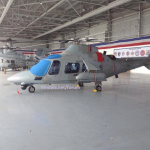 These are addition to the two attack helicopters of the Philippine Navy. The rebuttals to the assumptions listed above have already addressed the question of "What is the FA-50 for?" in broad strokes. This section will explore other uses for which this aircraft is highly suited. 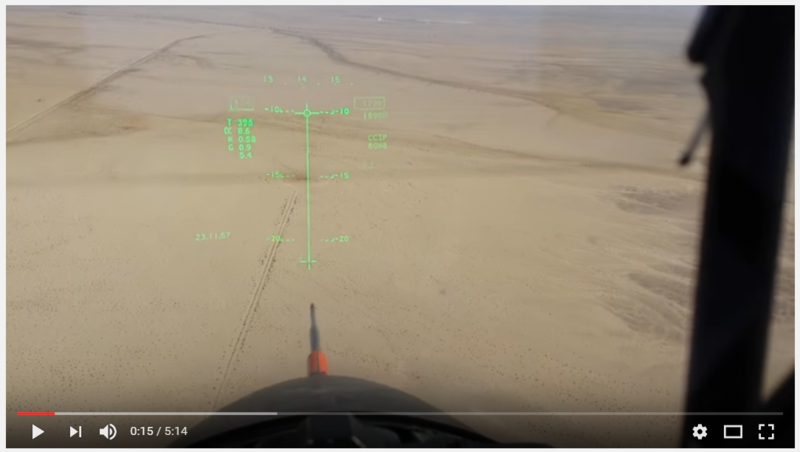 Although not currently part of the SAA/LIFT munitions project, reconnaissance pods that can provide real-time images to a ground station do exist and could broaden the FA-50's usefulness. The following pod is an example. Only proper evaluation and testing will determine its suitability for the our aircraft. At any rate, right or wrong, the previous administration's experience with sticker shock at a lackadasical attempt to acquire refurbished F-16s in 2012, soured the DND against refurbished fighters. This ill-fated F-16 project is a story in itself, and is reserved for a future article. Selecting brand new aircraft, on the other hand, that are still in production not only assures the PAF of thousands of flights hours of useful airframe life -- which translates to decades of service -- but also of continued availability of parts. A factory-fresh F-16, for example, has a designed airframe life of 4,500 flight hours which, depending on the sortie rate and demands of the mission profiles, will actually last decades. Delving into the PAF's history yet again, it was the lack of spares for an aircraft that had long since been retired from service with the country of origin that eventually grounded the most capable fighter the PAF has operated to date: the F-8H Crusader. Even if it were not the Duterte administration's intention to pursue the PAF's modernization during its tenure, it would be behoove his administration to preserve whatever gains had already been made to give future administrations the latitude to fulfill such plans. The momentum that the PAF is gaining with its FA-50s --if not in terms of raw military power, then in the airpower-related skills for the entire organization -- must not be dismissed casually. Had Duterte's assumptions about the FA-50PH been correct, then he would have been justified in the stance he took at the SMX forum. 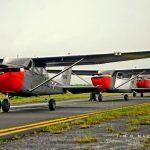 With an acquisition cost of US$426.6 million (P19.9 billion), these 12 aircraft alone cost more than the budgets of the Department of Science &amp; Technology and Department of Trade &amp; Industry combined. These are funds that could have been put to use to shore up other aspects of the AFP's capabilities, or kept in the AFP Modernization Trust Fund for use in the purchase of the true MRFs that the PAF intends to buy. Night bombing mission against the Maute group on the 26th of January. Re: FA-50PH's first combat mission? 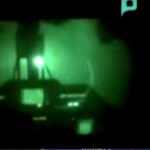 The military on Thursday night launched a surgical air strike against terror groups. Two new FA-50 lead-in jets dropped bombs in Butig, which was followed by an airplane and an attack helicopter. The operation was launched after the military received information that Abu Sayyaf senior leader Isnilon Hapilon is in Butig and is now the recognized “emir,” or leader, of the Islamic State group in the Philippines. In a statement, the AFP said the terror groups are “reported to have sustained a major casualty, with a number of them dead or seriously wounded,” after the bomb attack that landed the identified locations of the terror groups. Troops are now searching the area to see whether they hit Hapilon or he managed to escape. Seems like something hit Hapilon. The report reads as if they were observing remotely - possibly drone support. Too bad it wasn't an armed drone; they could have finished him off. Abu Sayyaf Group leader Isnilon Hapilon has been seriously wounded as military artillery pounded suspected bandit hideouts in Butig, Lanao Del Sur. No less than AFP chief of staff General Eduardo Año confirmed the report to GMA News' Jun Veneracion. "May tama siya... grabe," Año was quoted as saying on "24 Oras" Friday. An excerpt of a military report said Hapilon had been observed to be weakening and even lost consciousness several times. It added that Hapilon was being carried by four persons. So, these are the FA-50 that are only good for parades? separate from the FO for the strike. One could also argue that labelling them "good only for parades" was a challenge to be proven otherwise. After all, the whole project wasn't cancelled. Does anyone know if any of the other aircraft in the T-50 family (T-50, TA-50, FA-50) has seen combat? Or would this be the first actual combat mission of any aircraft in that family? Can't seem to find any information which indicates one way or the other. The only other user of the T-50 family that has active combat operations is Iraq. Have they used their T-50IQs already? According to one source, the Iraqis are expecting delivery of their T-50IQs first quarter of this year. Meaning to say they don't have them yet. First use of the FA-50 for combat operations in an ongoing conflict. 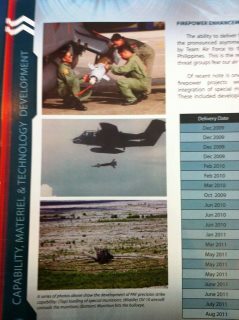 As with the night-time strike by an OV-10 a few years ago, the PAF is mum about specifically what ordnance was used. With the OV-10 which really didn't have any specialized avionics to facilitate night-time bomb runs, use of the PAF's precious few precision guided munitions was necessary for this aircraft to deliver ordnance with the accuracy required for the mission. The FA-50, in contrast, possesses the most sophisticated bombing avionics of any aircraft in the PAF. It is the only attack aircraft in the PAF capable of Continuously Computed Impact Point (CCIP) and Continuously Computed Release Point (CCRP) bombing modes. Timawans in the PAF confirmed the availability of both modes during research for the the following article: What is the FA-50PH really for? This means that the FA-50PH can deliver "dumb bombs" in a . . . smarter . . . manner. So while the use of PGMs for this mission is not impossible . . . it need not have been so. A much wider selection of bombs could have been used for the strike. 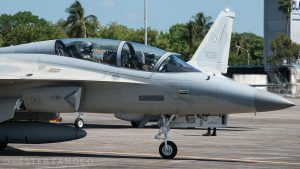 MANILA, Philippines – Armed Forces of the Philippines chief General Eduardo Año confirmed Sunday, January 29, that they used fighter jets in airstrikes against terrorists in Butig, Lanao Del Sur on Thursday, January 25. 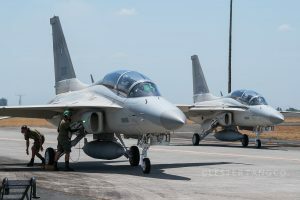 It was an unconventional first combat mission for the newly acquired FA-50s from South Korea that were bought to defend the country's maritime territories in the West Philippine Sea (South China Sea). He wouldn't elaborate on the mission of the FA-50s but he said they were found to be very "efficient." He said the military will continue using the fighter jets against the terrorists. "Hindi lang pala pang-external ang FA-50 or pang-ceremonial. Magagamit din to sa ating internal security operations at magandang justification sa pagkaka-procure natin kasi very precise 'yan pagka-ginagamit natin," Año said. A suspected Indonesian militant was killed and one of Southeast Asia’s top terror suspects was seriously wounded as the Philippines launched airstrikes using South Korean-made fighter jets for the first time in combat, the military chief said Sunday. 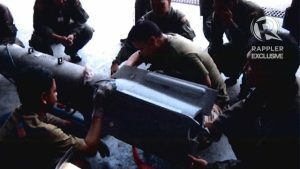 Military Chief of Staff General Eduardo Ano said the body of the suspected Indonesian militant, known by his nom de guerre Mohisen, was recovered by troops along with three dead Filipino followers of militant leader Isnilon Hapilon, who was seriously wounded in the hilly outskirts of Butig town in Lanao del Sur province. The FA50 usage was not supposed to come out, and the AFP is now doing damage control and spinning it their way. I have a feeling that the AFP did not want to publicize the use of the FA50s to keep them distant from possible bans on further weapons acquisitions due to possible HR violations that may get tacked on it.